fabric friday: what comes to mind when you think of cotton? I recently did an interview for an upcoming book about fabric, and the author told me she was having trouble getting any of the designers she interviewed to talk about cotton. When you work in the fashion industry, cotton is often looked down on. Designers like to work with fancier materials like silk, wool, and high-tech fabrics. Bonded fabrics are all the rage these days (silk bonded to wool, neoprene anything). These fabrics are all fascinating and interesting, and many customers are willing to pay more for special fabrics. Meanwhile, cotton is considered to be sort of low grade and common. But let’s stop and think about what we really wear, shall we? Today I’m dressed in my favorite old jeans (rips and all) and a chambray shirt. Yesterday I wore a silk pencil skirt with a cotton T-shirt. My pajamas? Cotton. In real life, we wear a lot of cotton! Sure, we wear other things too, but there’s a reason the cotton industry markets itself as The Fabric of Our Lives. Cotton is comfortable, easy to care for, and affordable. Of course, when I think of cotton I also think of denim and jersey (jeans and T-shirts). Do you, too? What else do you think of? Here’s a list, in no particular order, of some other cotton fabrics and their characteristics. Broadcloth: medium-light weight, tightly woven plainweave made with fine yarns, readily available in quilt shops in a wide variety of colors. Great for shirts, skirts, sheets, pajamas. Poplin: medium-light weight plainweave with fine horizontal ribs, somewhat stiff. Great for shirts, skirts, and lightweight jackets. Shirting: lightweight, made of very smooth and fine yarns usually designed for men’s dress shirts. Very smooth and lustrous. Comes is a wide variety of stripes, checks, and woven patterns. Great for shirts (obviously), dresses, and sleepwear. Lawn: lightweight, very fine, plainweave, slightly stiff, a little less sheer than voile. Great for blouses, dresses, and sleepwear. Voile: lightweight, sheer, crisp, woven in plainweave with very fine yarns. Great for blouses. Batiste: lightweight, soft, a little dressier than lawn. Great for blouses, sleepwear, and linings. Pique: medium-weight, crisp, woven with a special textured (dobby) design. Great for women’s and children’s dresses. Canvas (or duck, which is similar): heavy-weight, often quite stiff, woven in plainweave. Very durable but sometimes too heavy for apparel. Great for bags and outdoor use. Duck is usually a little lighter than canvas and can be used for some apparel like pants and jackets. Corduroy: medium-weight with wales (which are made by cutting the pile to create that fuzzy surface). Great for jackets and pants. Eyelet: usually a broadcloth or other plainweave fabric with embroidery and cut-outs within the embroidery. Great for blouses and dresses. Chambray: light- to medium-weight plainweave woven with colored warp thread and white weft threads, which gives the fabric a softer color. Great for all sorts of apparel. Denim: medium-weight, diagonal (twill) weave. Like chambray, the warp is colored yarn while the weft (fill) is white yarn. Great for jeans, jackets, and work clothing. Seersucker: lightweight, fabric that alternates between flat plainweave and puckered plainweave (a tighter weave makes the puckers) stripes to great a textured fabric. Great for dresses, pants and jackets. Dotted Swiss: lightweight, sheer with fuzzy dots that are either woven (called a clip-spot) or flocked (with glue and added fuzz) to make the textured dots. Great for dresses and blouses. Velveteen: medium-weight fabric with a cut pile surface that lies flatter than velvet. Great for dresses. Flannel: Light- to medium- weight plainweave that’s been brushed to give it that fuzzy softness. Great for shirts and pajamas. Organdy: lightweight, sheer plainweave with very fine threads, quite stiff (not drapey). Great for blouses and dresses. Sateen: light- to medium-weight, woven with longer floats (not plainweave; instead the thread to over several threads before doing under a thread to give the fabric a lustrous and very smooth appearance on the face). Great for dresses. Gauze: very light, sheer plainweave with lots of space between the threads (openweave). Great for relaxed dresses and tops and for straining your chicken stock. Gingham: lightweight, plainweave, woven with threads of two different colors to create a plaid or checked look. Great for shirts and dresses. Madras: lightweight, usually plainweave, yarn-dye plaids designed so the colors will bleed a bit when washed. This fabric originated in Madras, India and is great for shirts and dresses. Ticking: heavy, strong, stiff plainweave often woven with stripes. Traditionally used for mattresses and pillows. Great for bags and work clothes. This is certainly not an exhaustive list of cotton fabrics, and I should also point out that not all of these fabrics are made exclusively in cotton. You’ll also fine some of these fabrics as blends (cotton combined with another fiber), and others can be made of different fibers entirely. For example, you might find a gingham that’s a poly/cotton blend. Or a flannel made entirely of wool. But when you see the variety of fabrics that can be made with cotton, you might start thinking about your sewing, and your wardrobe, a little differently. What goes around comes around. Remember Double Knit? It didn’t breath! There was the Brady Bunch period when you couldn’t find cotton! But it came back. Neoprene is the new doubleknit. Microsuede is the new ultrasuede. Remember bonded wool? It was awful, but you didn’t have to line it. The backing peeled away from the wool. Back in the 70’s the only 100% wool you could find was Pendleton brand and that was $22.00 / yard. The high tech fabrics will be a moment in time as they are replaced with more higher tech fabrics, but Cotton, Wool, Silk and Linen will endure. Cotton is one of my favorites! I actually have a love affair with sateen and lawn. I adore the way lawn catches the breeze and has such a floaty feel to it. Sateen is lovely and so smooth with just the right amount of shine to give something a dressy feel, but still cotton, so it easy to care for – perfect for children’s wear. Then, there’s poplin. Ah, cotton, how I love you! I love cotton- especially your lisette lines!! This is a great resource list. Thank you for sharing! The first thing that comes to mind is Fabric Finders Inc…. my favorite fabric company…. gorgeous piques (probably my favorite fabirc), great lawns & broadcloths, soft corduroy… yummy. 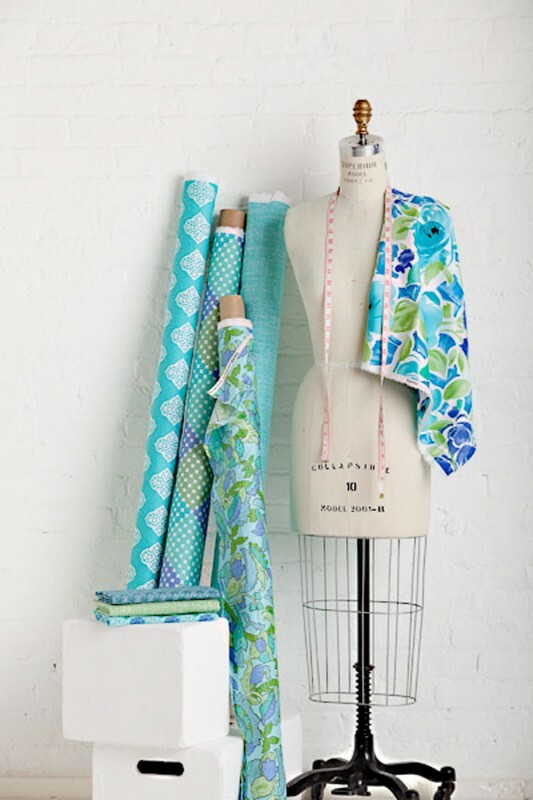 I am an admitted fabric snob…. give me nice cotton any day!!! Cottons are my go-to fabric for both children’s clothing and my own clothing. The one factor that makes all cottons so appealing to me is it’s breath-ability. Living in California makes cotton practical for year round wear too. Thank you for this list, I have always wondered what made sateen so smooth and soft – now I know! I love cotton too! It is so hard to find the non-quilting varieties though. So sad. I lived in SC for a lot of years. I was surrounded by cotton. I even have a cotton sticker on the bumper of my car. I get a few odd looks because I moved to CT. It’s amazing how they pick cotton now. It’s (obviously) my favorite fabric to sew with. I adore cotton and when I buy commercially produced clothes it’s the first thing I look for… especially in a summer dress. Who wants to wear a synthetic blend and walk to work in Philly when it’s 102F? If it’s not cotton, I won’t wear it.